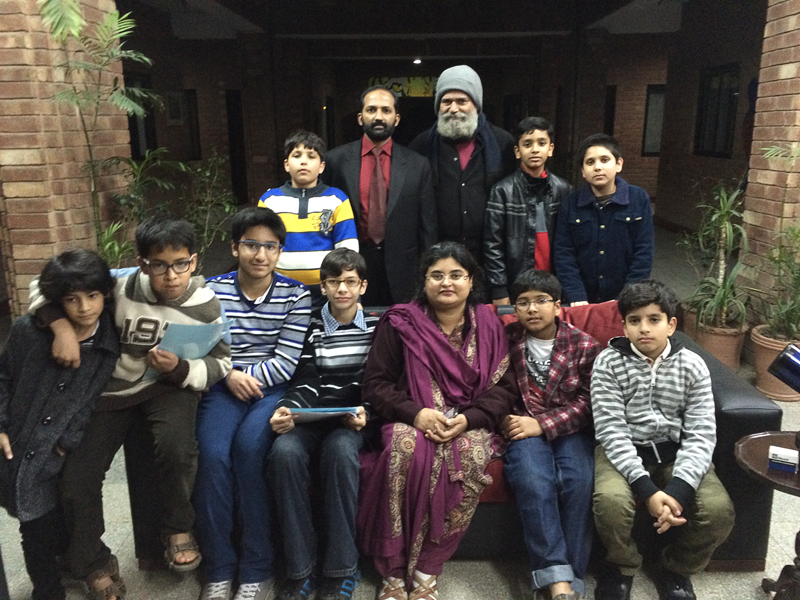 Astronomy Outreach at LGS, Johar Town. Ali Khan and i visited Lahore Grammar School even when it rained that day and was cloudy. 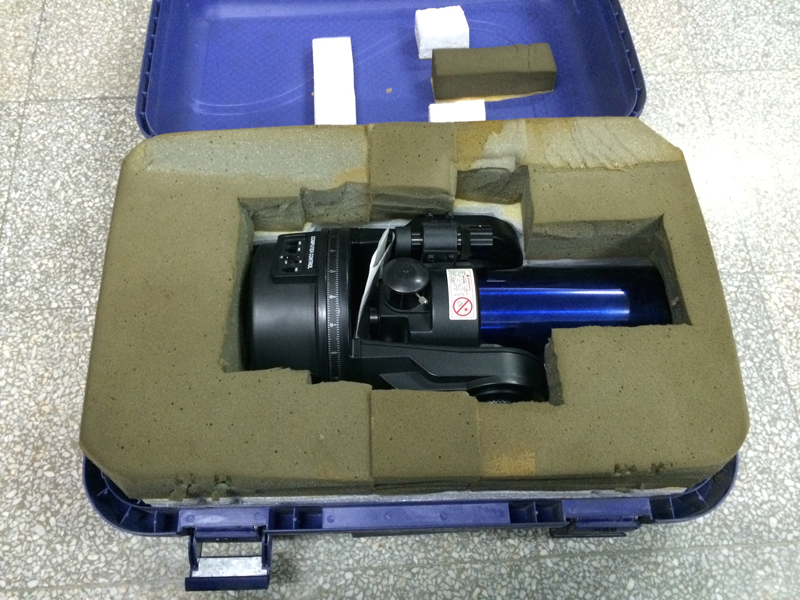 Their Science teacher Shaista Irfan had arranged a star gazing session there and had brought a Meade 90mm ETX telescope. 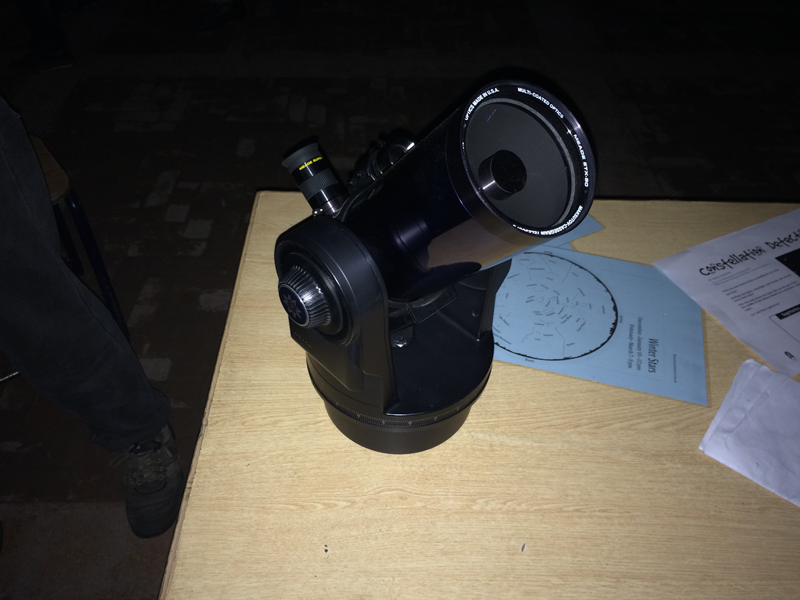 We observed Jupiter and M42, also some bright stars as well. 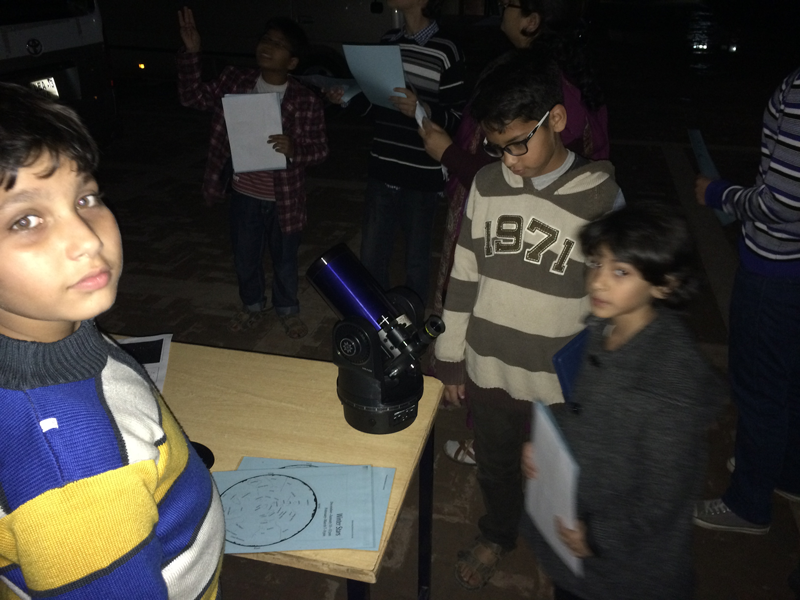 Constellations were identified and some of the history of Astronomy and telescope was discussed. 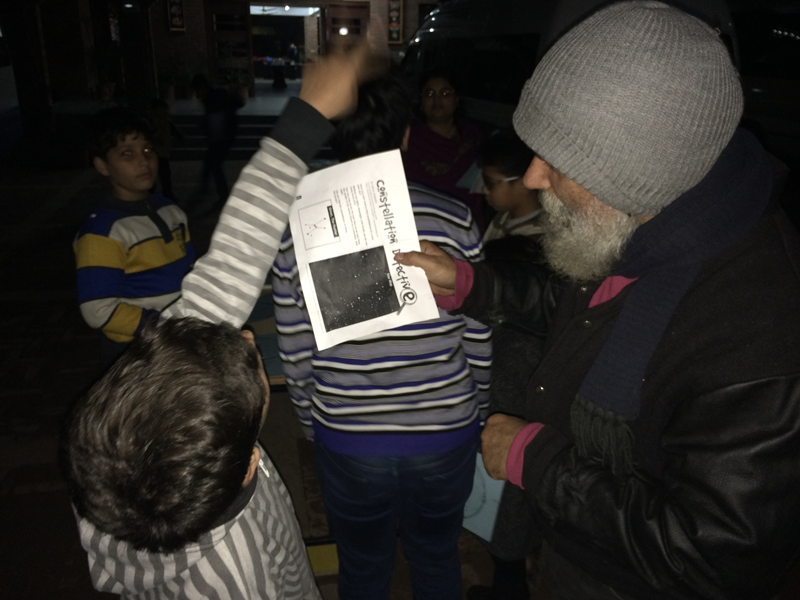 Star maps were distributed and used by the students. Good job boys!